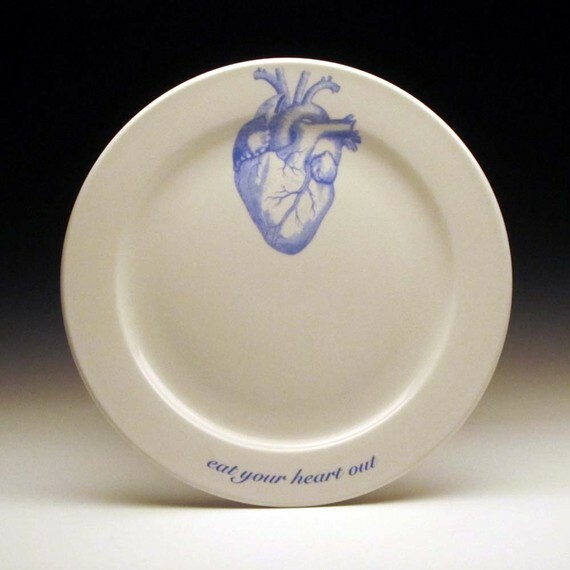 I am a goth at heart, so these plates by foldedpigs on etsy warm my black little heart. Aren't they marvellous? they are brilliant! I just love this fin de siecle medical drawings. and everything that relates to zombies. 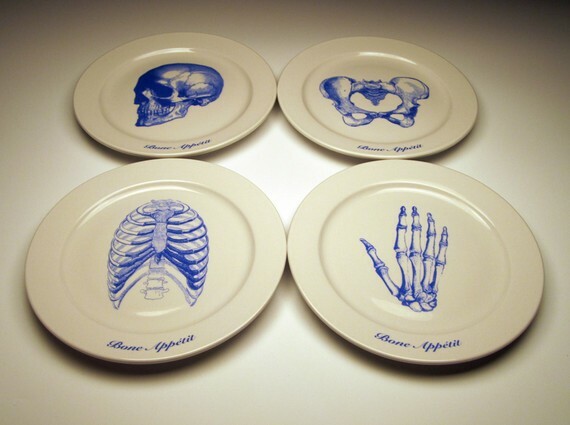 These plates are simply amazing! I love stuff like this! anyway, i just found your blog somewhere in this crowded virtual valleys i i simply fell in love. you are very inspirational gal, love your style and love your thoughts. and your room also, just saw it in past post. will definitely follow you! 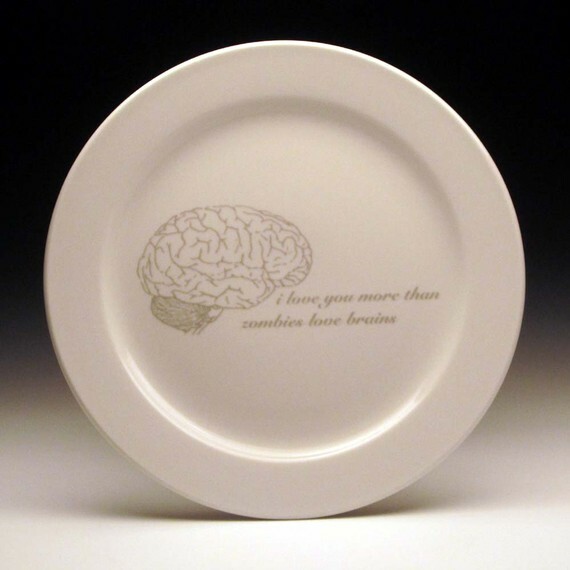 and i would be flattered if you stop by at my blog sometimes if you wish. Me too I keep going on about them to my boyfriend and Mum hah.